Mason's big requests for his room were an art table and a place to hang up his art. Check and BIG OL' CHECK! He is constantly creating and switching out art pieces and I can't tell you how many times I day I hear, "Mommy!!! Come check out my new creation!!!" With all of the kids rooms I tried to create spaces that would grow with them and in the future I see these wires filled with awards, spirit shirts, and (hopefully) lots and lots of art. The wires are curtain wires and clips from IKEA. They are $12/each and the corner pieces were around $5 and then I bought 2 packages of clips for (I think) a total of $8 . The entire setup was under $60. The bookcase was in the boys shared room and I put a few things on it (the stacked books, frames, etc.) and then let Mason have free reign. The art table has been the biggest hit ever. It's the little table from our old kitchen and I love how much space he has to be creative. On the opposite wall is his closet and then a door leading into the sink/vanity area. I picked up this kitchen utility cart at IKEA and it has been PERFECT for holding markers, crayons and other art supplies. The kids roll it right over to the table and go to town. They'll even roll it out into the playroom. It's fantastic. One of the greatest things about having the boys in their own rooms has been them each having their own closet. I prefer hanging storage for them (so we can see everything) and then we have bins for larger toys as well as baskets for socks and uniform belts and all of that. Mason picked out his sheets and they're so cute! I mentioned them before, but I really can't say enough great things about the duvets. They're light and fluffy, but warm and plush. LOVE them! So, from the playroom there's a door that goes into the boys bathroom/sink area. You can see the other door that goes into Mason's room. I found the sign on Zulily and the little plant on the counter at Homegoods. And then the door next to their hamper goes into the toilet/tub area which goes into Griffin's vanity area. I adore Mason's room too! It's so cozy! I want to curl up and color in there with him!! I'm trying to understand it.. do you have 2 bathrooms upstairs? Love all the work and style you put into your kids rooms. Looks fabulous!! So cute. I love the art wires. Just perfect. Aw!!! I love that-"look how nice it looks, Mommy". That's so sweet! He loves making his room neat and tidy :) Sweet boy! His room is so cute! You did a great job.! By the way your playroom post inspired me to not only make some updates to mine but since then, I have bought 3 new rugs and goodness they make such a difference. I figured you would understand ;) Tyler is probably getting tired of me talking about my love for them. Lol! I love the way that you used all the toys and art work as decor. It's so colorful and happy! And NO IKEA?!?!?! Can you road trip to one and make a weekend of it? Such a cute and functional space! Love everything about it! What a great idea for the his art above his bed! 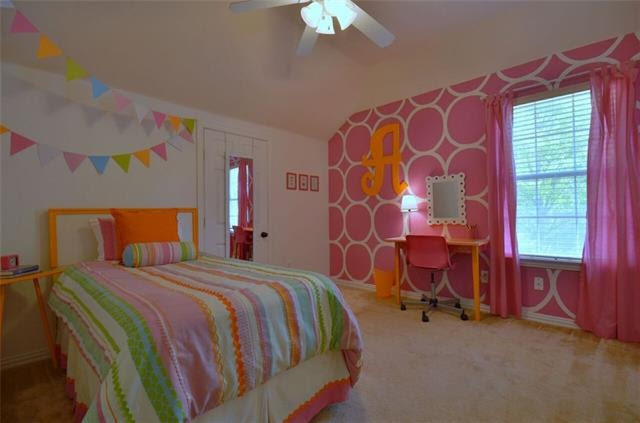 Cute room! What a great room!!!! I love the idea for hanging artwork. My kids would love that! I love the art hanging corner..that is so creative! So adorable! I love how easy it will be to transition from a little boy room to a grown not room! Such great ideas! I love that you let them have a say in their room. So special and they turned out great! Love this room! I love to be creative so I love the art table and cart of supplies. Great job! Thanks so much for the curtain wire idea! We're in the process of updating our four year old's room to a big boy room and I have been searching high and low for something to hang over his desk... I think that will be the perfect thing! I love the art work curtain wire idea! It's so crazy that I just pinned something similar from pottery barn kids on Pinterest last night but didn't want to spend that much for how little it was. We don't have an ikea in the Nashville area, but I might be making a trip to Atlanta for this! We are purchasing the IKEA daubed for my 3 year old. Did you use regular twin mattresses? Thanks! Love his room! I LOVE his room!! But I am totally with you on how realtors take photos!! I have been working on photos for Show and Tell in two weeks and mine are terrible!! His room looks so great! I love how his artwork is displayed and that he loves keeping his room clean! So awesome! I love his creativity! I have never been to IKEA and it hurts my heart! LOVE Mason's room!!!! You did a great job! Do you have any idea where the little boys sign in their bathroom is from? I know you said zulilly, but isn't on there anymore I don't think. Would love to get one like that! I love his bed! Where did you purchase it from? !